Creative Commons photo courtesy of Jayel Aheram. When Brian Doherty, senior editor of the Libertarian magazine Reason, wrote “Radicals for Capitalism: A History of the Modern American Libertarian Movement” in 2007, Texas Rep. Ron Paul’s name appeared on only three pages. Concerning political movements, “politicians are lagging indicators, not leading indicators,” Doherty said. 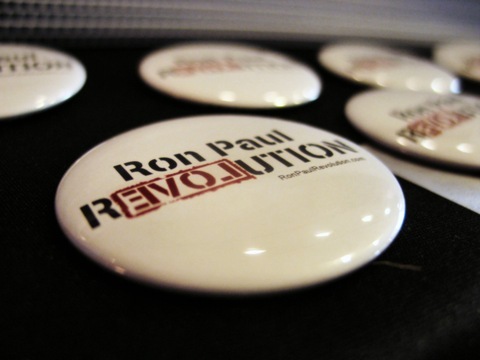 Even though his back-to-back presidential campaigns in 2008 and 2012 failed, Paul managed to win a victory of sorts: using some of the money he raised campaigning, he started a political advocacy organization, the Campaign for Liberty. Campaign for Liberty is focused mostly on grassroots organizing. Supporters came from as far away as Arizona to take part in the three-day, second annual Liberty Political Action Conference. Over the last few decades the two main American political parties have diverged, shifting to the left and right. The ranks of self-identified, and disenfranchised, independents swelled. Even though the so-called liberty movement has always had its core supporters, the crowds showing up at Paul rallies during the Republican presidential primary represented a newer, younger sort of Libertarian enthusiasm. At the conference it was clear there is a divide. When Paul delivered the keynote address, the crowd cheered with the same level of enthusiasm for a line about a laissez-faire approach to government and leaving those with less power to suffer their own losses, as they hooted for calls for a compassionate sort of Libertarianism — one that protects the worst off. Paul was indeed the rock star of the event. Republican Sens. Rand Paul of Kentucky, and Jim DeMint of South Carolina, and GOP Rep. Justin Amash of Michigan each spoke to the gathering on Thursday. But the elder Paul was the main attraction. Many of the speeches at LPAC were more dry than they were barnburners: The speakers stood inanimate at a single podium in front of a deep blue curtain on topics including, “The Fourth Amendment and Civil Liberties” and “War: The Principal Cause of the Imperial Presidency and Big Government in American History.” For their part, some members of the audience dozed off as speakers extolled the virtues of the Bill of Rights one by one. The real work at LPAC, like most conferences, was being done in the grassroots breakout and networking sessions. Campaign for Liberty organizers and groups like Young Americans for Liberty were busy working with convention-goers to brainstorm who might be the next Libertarian state representative or state senator. The groups held breakout sessions focusing on tools for voter data aggregation and canvassing strategies. “In campaigns, data is the new currency of the realm,” said Matt Robbins, the national executive director of American Majority, a conservative political infrastructure organization. At one of the grassroots strategy sessions, a new cloud-based software program was demonstrated. The program, complete with tablet and smartphone applications, uses data provided by state election boards to build platforms for campaign strategies. It organizes potential voters and supporters into tiers based on customizable analytics, and the program demonstration drew a large crowd of civic activists and budding political conspirators. At LPAC, this seemed to be the way forward for the liberty movement — spreadsheets and smartphones to affect change from the bottom up. Paul didn’t win a single state during his 2012 presidential bid, and his political swan song, culminated in Tampa when Mitt Romney easily became the Republican nominee. In 2008, his supporters could claim a tangible victory with the creation of the Campaign for Liberty. But this year, Paul was not invited to speak at the party convention and the rules committee passed a major change to the way delegates would be appropriated from the states to the convention in the future, making it harder for an insurgent candidate to duplicate Paul’s strategy of taking advantage of the intricacies of state party rules. For their part, some members of Congress who are aligned with the liberty movement, including Paul and Amash, have refused to endorse Romney. Noticeably absent from LPAC was any sign of the Libertarian Party’s 2012 presidential candidate Gary Johnson. A Campaign for Liberty spokesman said Johnson’s absence was due to an internal policy excluding current presidential candidates from attending. Whether the Campaign for Liberty can create an umbrella party to hold the Paul coalition together remains to be seen, but the Libertarian movement is moving forward, with or without a national figurehead.